Why are Dental Implants the best option? How will my teeth look and feel? Am I a candidate for Dental Implant treatment? Is my age a factor for Dental Implant treatment? When should a tooth be extracted and replaced with a Dental Implant? Is a dental implant procedure painful? Can a dental implant work with existing dentures? Is there special care required? What is the cost of Dental Implant Treatment? Is Dental Implant treatment covered by my insurance? What is the difference between a traditional crown and bridge and an implant supported crown and bridge? Quality and quantity of available bone for implant placement. Uncontrollable diabetes or other medical conditions. 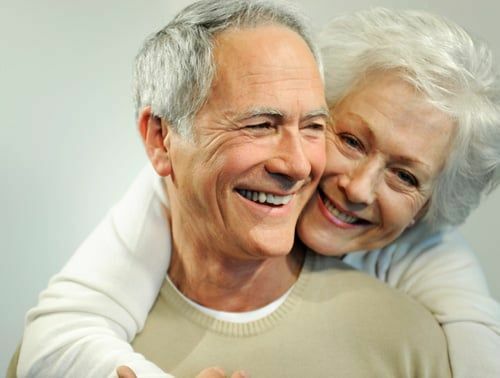 Every patient's situation is unique; however, from time-to-time we can use an existing denture by altering the denture to accommodate the necessary denture attachments to fit the implants. A dental implant preserves jaw bone. We do not have to destroy neighboring health teeth by grinding down the teeth to pegs in order to accept a crown. Implants last longer than traditional crowns and bridge. Implants are designed to last a lifetime, while a traditional crown and bridge is projected to last approximately 10 years and may need to be replaced. Although dental implants have become the standard of care, they are more expensive than old tooth replacement methods. They are a better choice for the money; however, some dentists still recommend traditional tooth supported bridges for patients due to their own comfort level, or when patients insist on having the immediate lowest possible fee for tooth replacement. Most dentists today detest the idea of grinding down perfectly healthy teeth to place a traditional bridge, and therefore, will almost always recommend dental implant treatment in these cases. There are times when it makes sense to extract a tooth and replace it with a dental implant. If a natural tooth is failing or about to fail. If a tooth has severe periodontal disease (gum disease) that has eroded the bone that supports the teeth. Sometimes in these cases, it is preferable to extract the teeth; eliminate the disease and infection and replace the teeth with a dental implant. When a tooth has had a root canal (nerves have been removed from the tooth) leaving the tooth brittle and susceptible to fracture. Teeth with severe fractures are usually extracted and are ideal candidates for replacement with dental implant treatment. 1. Eliminates the need to "cut down" the neighboring teeth to make a bridge. 2. Maintains the jawbone structure. 3. Feels and functions like natural teeth. 4. Does not rely on other teeth for support. 5. Replaces partial plates and may be used to secure loose dentures. 6. Cleaned and flossed like a natural tooth. A single tooth implant procedure may be done if a tooth has been extracted or is missing. A titanium implant base is placed into the jawbone to resemble the tooth root. We allow a period of time to allow for the jawbone to heal over the implant base before fitting for a crown. Next, an abutment is screwed into the base of the implant to allow for a crown to be fitted on top. Finally, a custom fabricated crown is placed over the abutment to function like a real tooth. Multiple tooth implants may be placed if you need or desire to permanently replace an extracted or lost tooth. Titanium implant bases are placed into the jawbone to replace the job of the tooth roots. We allow a period of time to allow for the jawbone to heal over the bases before fitting for a crown. Next, abutments are screwed into the bases of the implants to allow crowns to be attached. Finally, custom fabricated crowns are placed over the abutments and will function like a real tooth. Dental implants that can be placed to accept a full arch of teeth. The arch is removable yet functions like a full set of normal teeth. The Bicon implant system is comprised of only two components, with a bacterial-sealed, 1.5' locking taper connection. The two components are the implant, which is the portion that goes into the jawbone, and the abutment, which fits into the implant and provides a solid base for a permanent crown or removable denture. Bicon's design provides for a greater surface area than most other implant designs, thus enabling the use of shorter implants which often negates the need for a bone grafting procedure. You can also call us at (208) 525-8383 to request an appointment.